PDF Page Merger Deluxe - Combine PDF files using the windows interface or the command line utilities. You can drag/drop the PDFs to merge, or merge entire directories. You can specify which pages from each source file will be included in the output.Stand alone application - This does NOT require Adobe Acrobat.Drag and drop files to be merged. 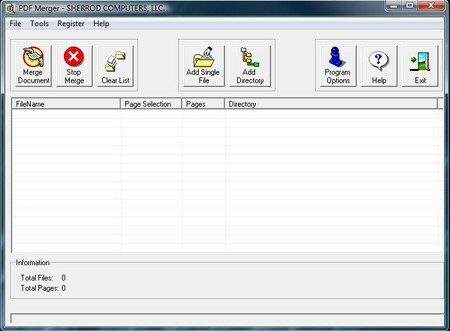 Pull pages out of a PDF file. Merge PDF files exceptionally fast! Qweas is providing links to PDF Merger Deluxe 1.0 as a courtesy, and makes no representations regarding PDF Merger Deluxe or any other applications or any information related thereto. Any questions, complaints or claims regarding this application PDF Merger Deluxe 1.0 must be directed to the appropriate software vendor. You may click the publisher link of PDF Merger Deluxe on the top of this page to get more details about the vendor.